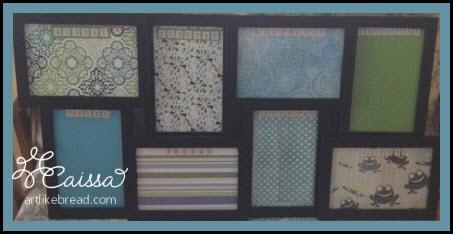 Over the holiday weekend I made a trek up to Winter Haven to visit my friend Sherri for a girls' crafting getaway. I drove up on Sunday and stayed until Monday. Even though the trip was just 24 hours long, we got lots done! 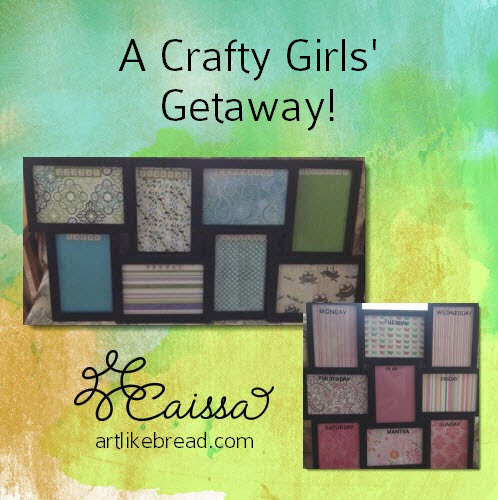 A crafty girls' getaway doesn't have to be a big commotion. All you need is a friend, somewhere to go, and transportation. I'm going to share my entire process with you so you can plan to make the most of your fun getaway! 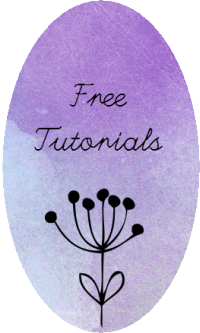 Preparations: This does not have to be any more complicated: just call your friend and set up a time and date. I like to do this far in advance so I can get ready over time. It's more relaxing if you don't stress about it, but if you are a nervous traveler then follow whatever travel checklist makes you comfortable. I took a road trip and just threw my overnight stuff into my little tote. Sherri told me she had plenty of crafting supplies, so I just brought my crochet works in progress. 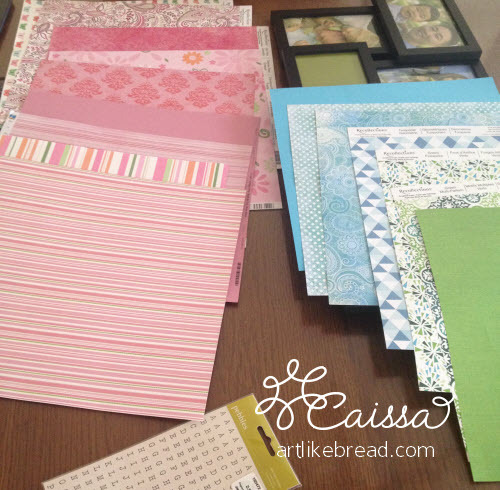 The Drive: During the drive up I listened to my downloaded Craftsy classes! This is a great way to pass the time and get geared up for the crafting ahead! I made sure to gas up before the trip and I bought some sports drinks and a gallon of water for the road. I also had a bag of pears to snack on. Thankfully the drive was uneventful and I soon arrived at my friend's house. 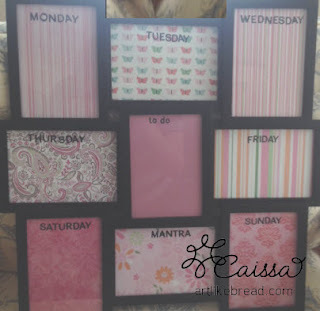 The Crafts: Sherri had a great Pinterest project picked out with all of supplies ready to go. This was an easy project for sure, and a fun one at that. The Supplies: coordinated scrapbook paper, picture frames, scrapbook letters. We also used scissors, a pen, a paper trimmer, and a knife. 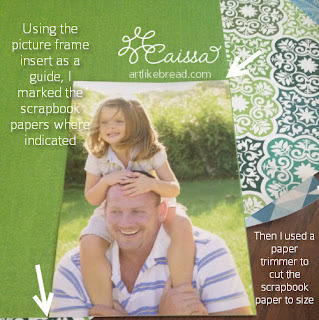 Using the picture frame insert as a guide, I marked the scrapbook papers where indicated in the photo. Then I used a paper trimmer to cut the scrapbook paper to size. 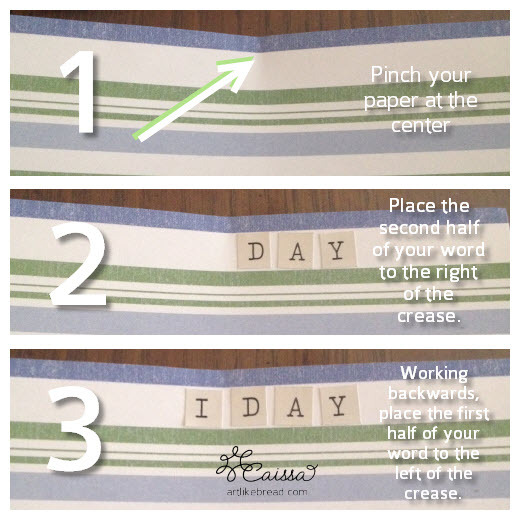 Top Crafty Tip: In order to center your letters, pinch the top of your paper in half. Add the letters of half the word to the right side of the crease and add the other half to the left side, working backwards. 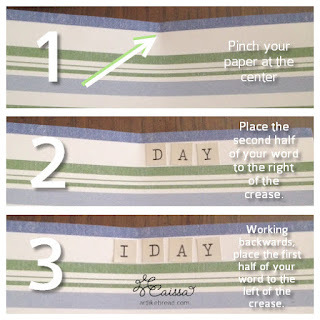 If you have an uneven number of letters in your word, place the middle letter on the crease and proceed as above. 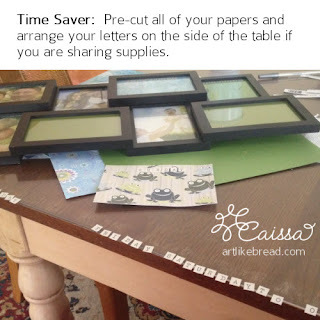 Time Saver: If you are sharing supplies (like we were), pre-cut all of your papers & arrange your letters on the side of the table so that you can work quickly when you're ready. Final Tip: Using a butter knife to pry open the frame backings was very helpful. Because of the configuration, these frames were not the easiest to open. Here's Sherri's finished project! Ready to organize with lists!! Next Project: After a crafty dinner (create your own tacos), we fired up the DVR and watched Mama Mia while yarn crafting! I was working on my crocheted work in progress and Sherri was knitting dish cloths. It was very nice just to enjoy this relaxing time. For me, it was a time to get away from my normal routine in a new setting. The Stores: Oh, darn. We had to go to Michael's to get some letters for Sherri's dry erase board. If you're doing this project, make sure you count the number of "D's" in your sticker package! It was a fun Michael's visit as I was pumped up on my Starbucks reward VENTI-sized drink. I was zipping around the store like nobody's business. 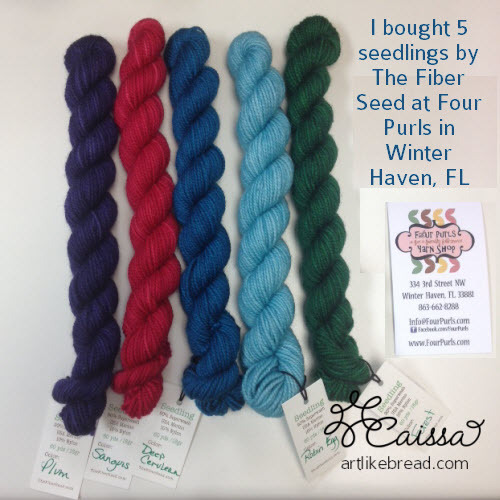 After that we made the drive into downtown Winter Haven and the beautiful Four Purls Yarn Shop. I have been to a lot of local yarn stores and this one really stands out as a high quality, welcoming, well stocked destination store. It really is gorgeous and impressive with a very nice group of people who stitch there. The manager, Mona, was a fantastic salesperson. She KNEW HER YARN. I was truly impressed and I would have loved to spend more time there. Both Sherri and I made our purchases. I was so glad to see that Sherri liked the store. With assistance from the fabulous Mona, she selected a customized shawl kit and pattern and set her sights on future projects and events at Four Purls. Sherri and I both really liked The Fiber Seed yarn line that is dyed locally in Tampa, FL. The Lesson: To end our crafting time, I taught Sherri how to crochet. 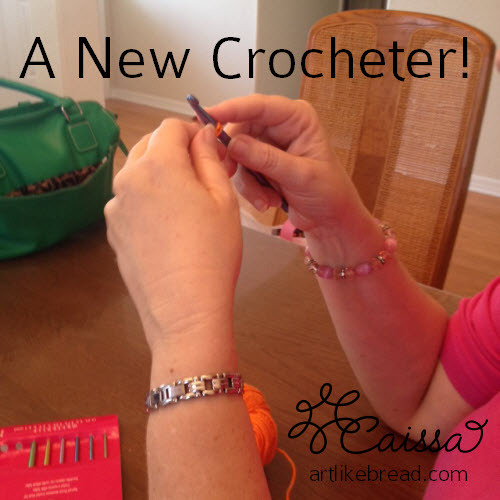 She learned to chain, single crochet, and to make a new row. Sherri was awesome at crochet and did a great job!!! It was fun to teach her! The Drive Home (with Crafty Detour): For the ride home, I grabbed some snacks, refueled my car and went! On the return drive, I opted for episodes of the Never Not Knitting podcast as my crafty entertainment. 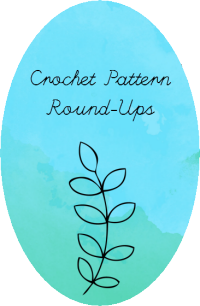 I chose this podcast because of Alana's detailed descriptions of yarns & patterns! I made a detour to the fabulous Sheep Thrills Yarn Store in Lauderhill, FL. When I walked in, members of my crafting group were sitting right there! Sheep Thrills is an incredibly inspiring yarn store with light-colored decor and really beautiful displays of yarn everywhere. I LOVE hanging out there and the owner Jim was kind enough to grill me a burger as it was Memorial Day! I loved seeing everyone and it was the perfect end to my crafty getaway!